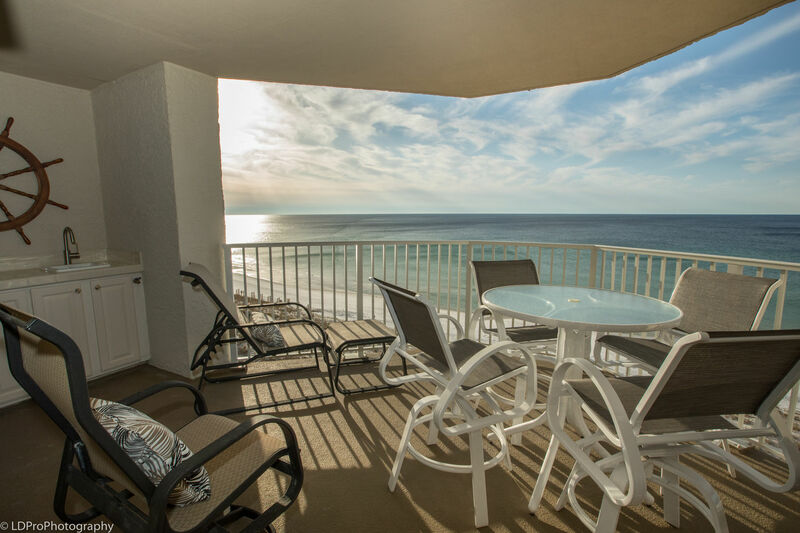 AWESOME unobstructed views of Destin’s powdery sand beaches from the wide Hexagonal shaped balcony and it includes a wet bar! You will also enjoy watching the boats come in and out of the pass, and dolphins frolic in the Gulf. 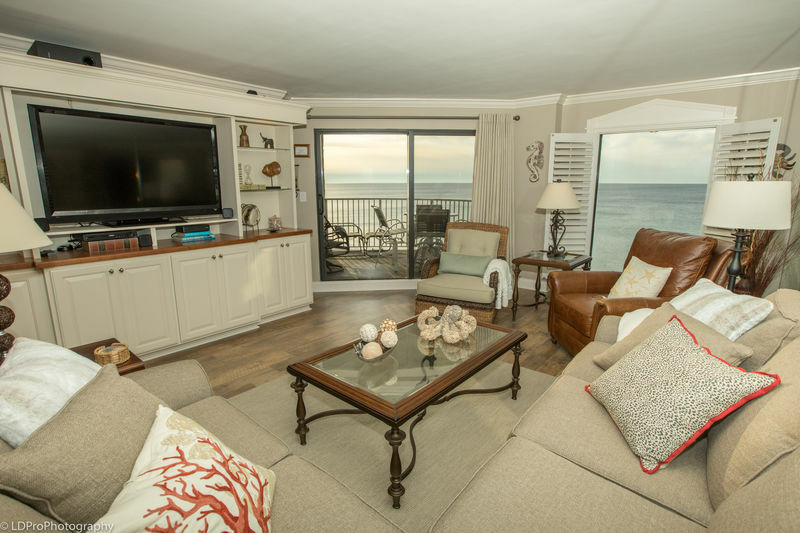 From March 1st to October 31st, the rental includes a beach umbrella and 2 two chairs. 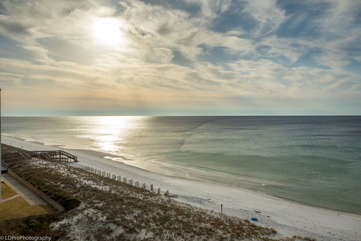 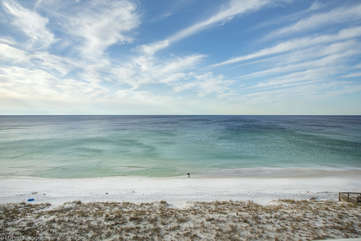 Inlet Reef Club is in the heart of Destin. 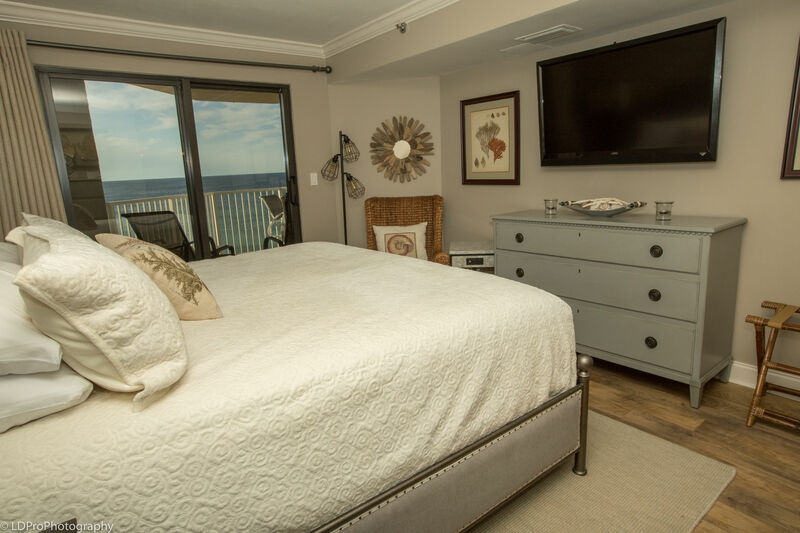 Look no further than Unit 504, that sleeps 6. 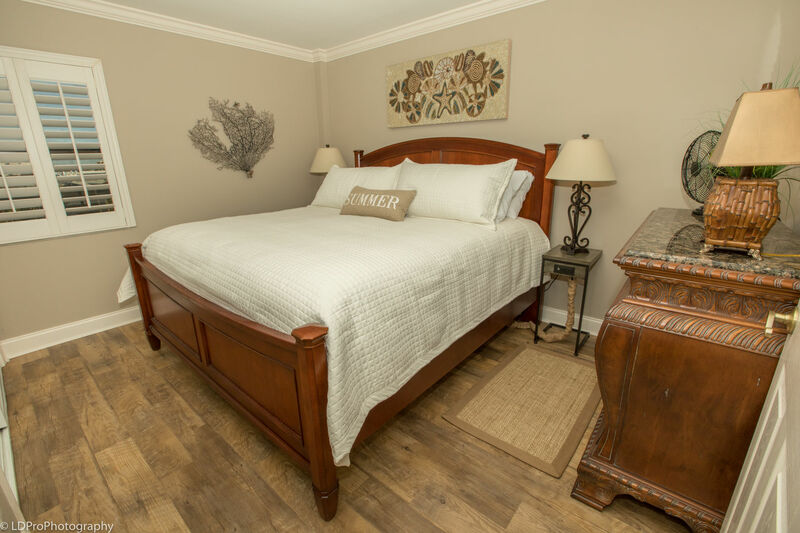 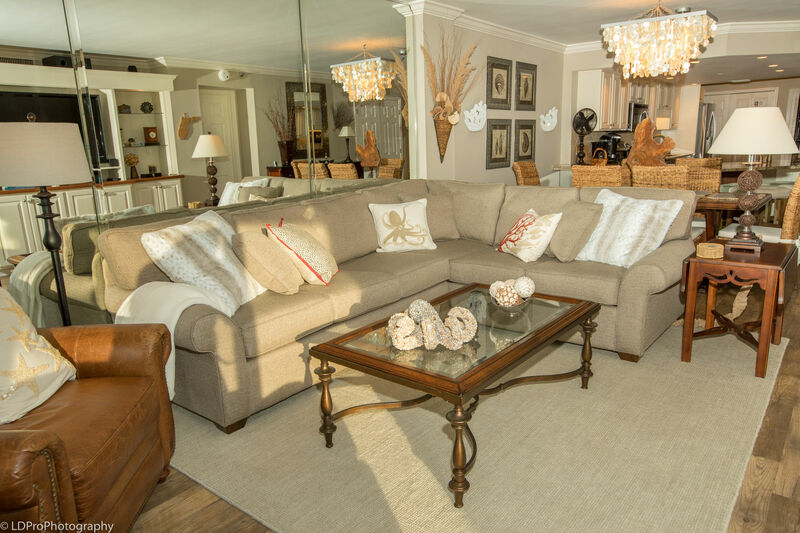 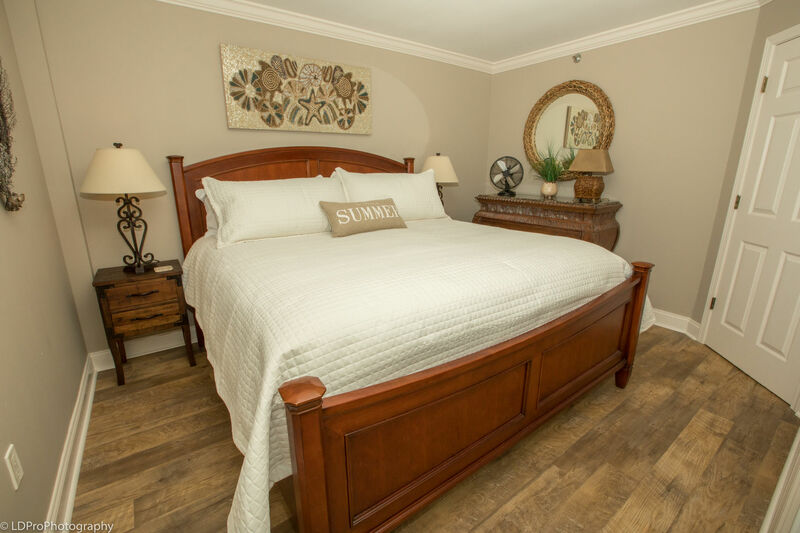 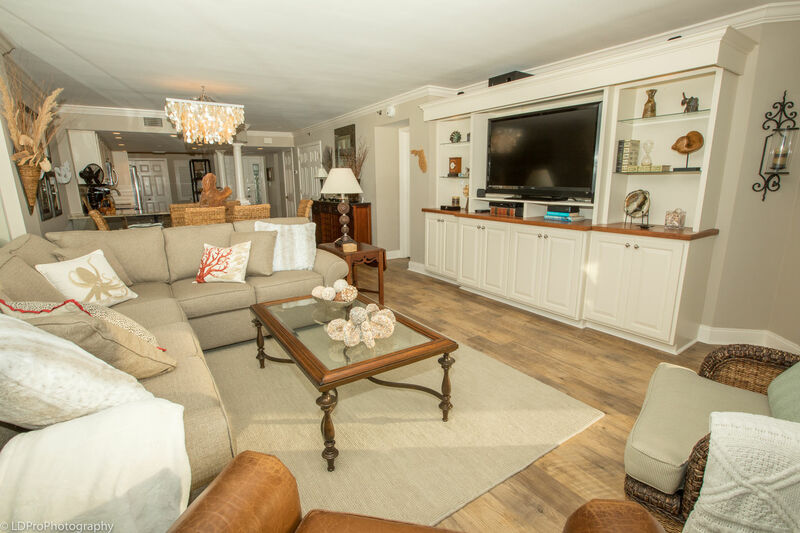 This unit was recently remodeled including waterproof dockside sand plank flooring, and luxurious new furnishings and accessories, that create an inviting & relaxing space. The open concept floor plan, features a fabulous kitchen with granite countertops and stainless steel appliances. 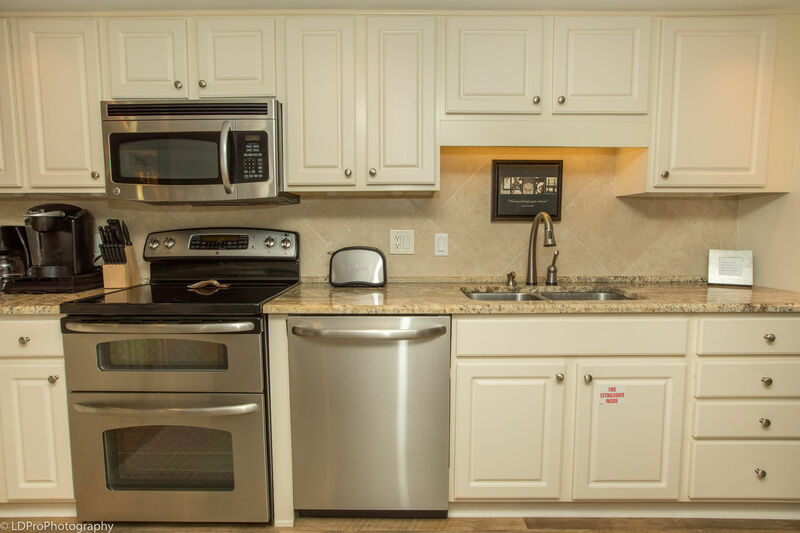 You will find two ovens, an oversized bottom freezer refrigerator, a dishwasher, and a Keurig machine. 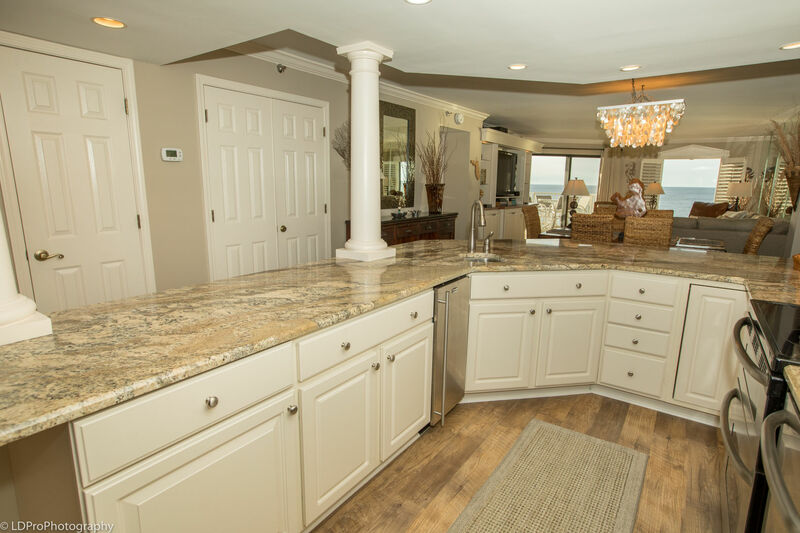 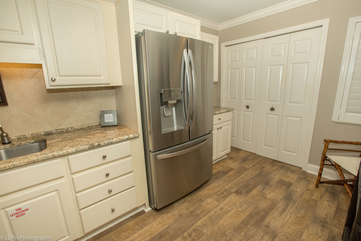 The kitchen is very user friendly for cooking and entertaining, including an extended kitchen bar that has a wet bar sink, an ice machine and four barstools. 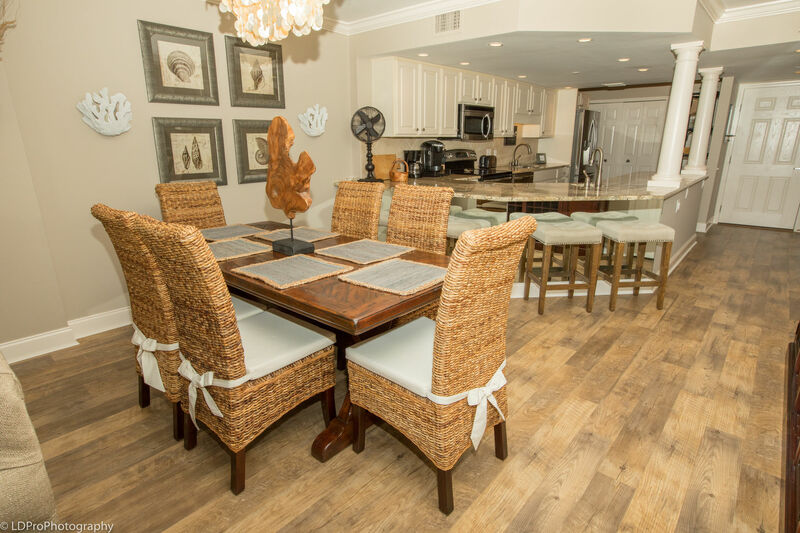 The dining table seats six. Also included are an abundance of pots and pans, utensils, serving dishes, and small appliances. 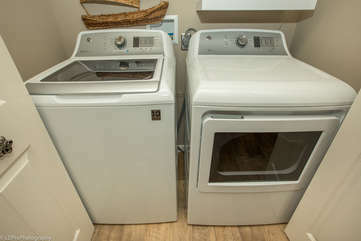 A new full size washer/dryer is located in the laundry closet at the back of the kitchen. The very inviting spacious living area features very comfortable seating with a sectional sofa that includes a full size sleeper, and a full length window with spectacular views of the beach and the Gulf of Mexico. You can also relax on the leather recliner or the rattan chair that swivels and rocks. The built-in bookcase, has a 58” HDTV, a DVD player, and high speed Wi-FI access. 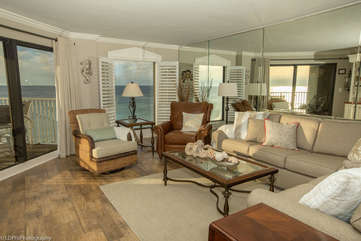 A sliding door leads to the balcony. 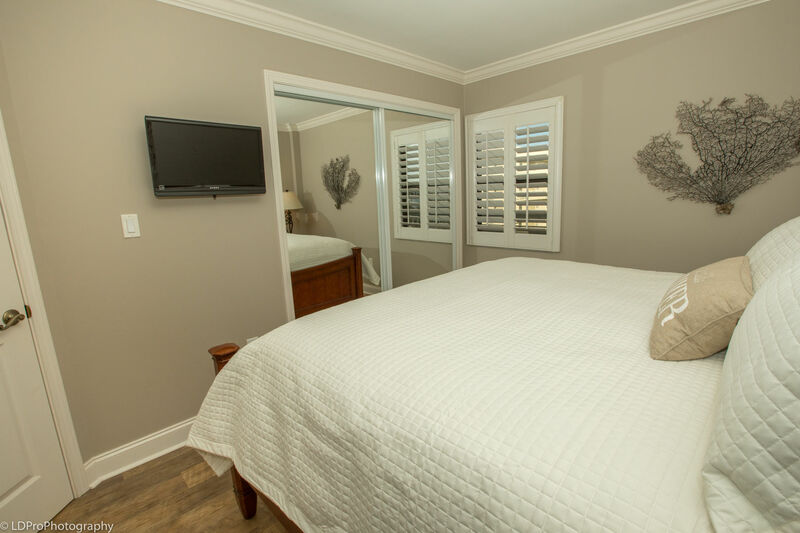 A king size iron bed anchors the welcoming master bedroom retreat, that also has a sliding door leading to the balcony, and an ensuite bath with a shower. 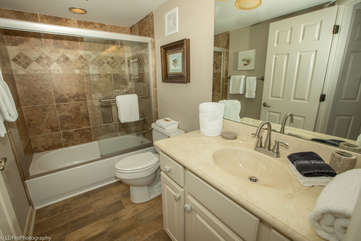 You will also find 2 vanities, a knee space, and a walk in closet. A 42” HDTV is mounted on the wall above the dresser. 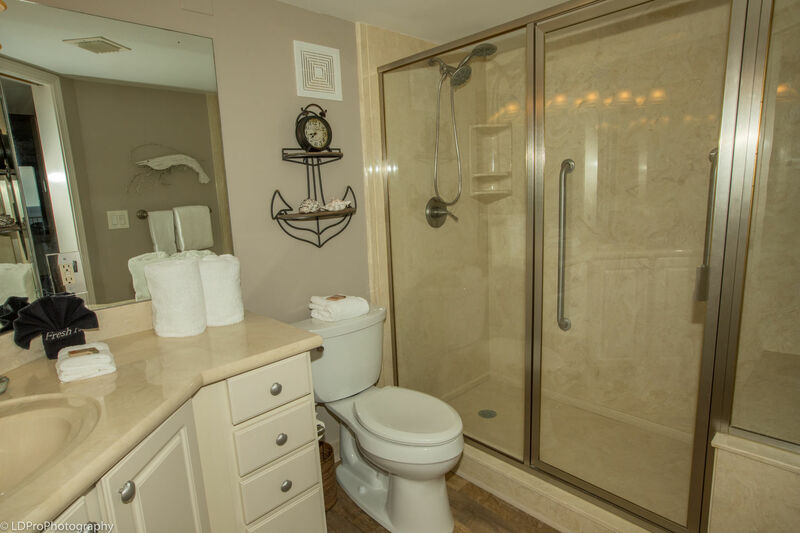 The guest bedroom also features a king size bed and a hall bath with a tub/shower combo. This room also has a wall mounted TV. 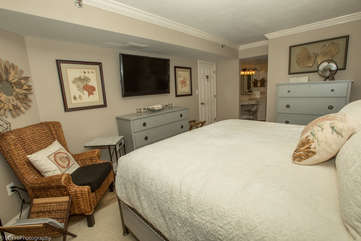 Both bedrooms have charging tables for your laptops and phones. 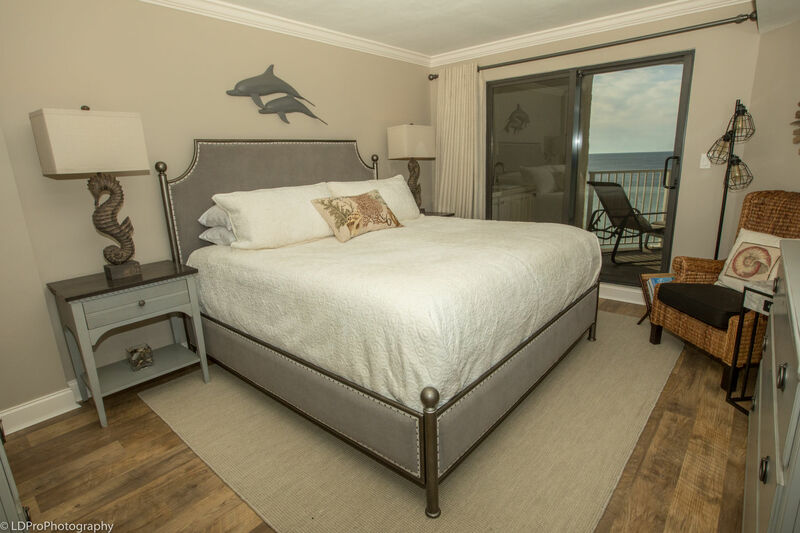 Enjoy a private boardwalk to the deeded beach. Inlet Reef Club is an amazing complex that has a recently remodeled exercise room and tennis courts. 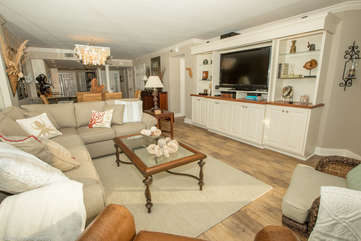 You will also enjoy other amenities, including a heated pool, hot tub, his & her saunas, shuffleboard, a sundeck overlooking the beach, and a very nice grilling area poolside. 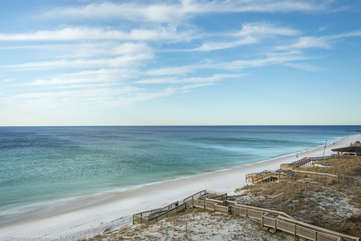 Parking is plentiful, with both covered and uncovered spaces. 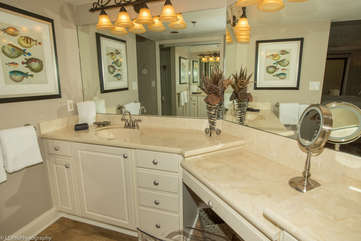 The first floor of the complex is a parking garage that has parking specified for both owners and guests.